Folk Art Platinum (I called it Silver in the video) was mixed with water and 1 tablespoon of Zinsser Paint Booster. Approximately 3 drops of Treadmill Oil (silicone) were added to all three colors. This ‘Keeping It Classy’ pour was a lot of fun to make but I also learned a lot. The first thing I learned is that you should save your pre-painted canvases for pours where you plan to leave some negative space. That’s a fancy way of saying you don’t plan to cover the entire canvas with paint. You’ll see in the video that I was excited to be using a pre-painted black canvas. But when the pour was done I realized I didn’t need a black canvas after all. I don’t want to say I wasted a black canvas but now I wish I had saved it for a different pour. I would suggest sticking with a regular white canvas unless you know beforehand that you do not plan to cover the entire surface of the canvas. If you buy a pre-painted canvas you may want to save it for a pour where you don’t plan to cover the entire surface of the canvas with paint. In this example the black area around the poured paint is considered “negative space.” If your paint covers the entire canvas, it doesn’t matter what color the canvas started out being. Another thing I learned from creating this painting is that sometimes it’s better to use more paint. I used approximately 16 ounces of paint for this 16×20 inch canvas which is the standard amount I normally use for 16×20. For this pour I wish I had used 20 ounce or more. Why? When you watch the video, hit the pause button right around the 4:30 mark and take a look at the paint on the canvas. It is beautiful! The cells are huge and there are large areas of gold and silver and the black is adding some lovely highlights. Watch as I start to tilt the canvas and try to get the paint to cover the entire surface. Things look good right up to the five minute mark, but after that I keep stretching the paint and all the great patterns disappear. You can literally see a great pour painting transform into a mediocre painting in a span of 60 seconds. I don’t point this out to be overly critical of myself. I point it out because as much fun as pour painting is, you can always learn from experience and try to make your pours better and better. Fortunately, I have learned a few tricks from making other pour paintings and in this video I demonstrate a great ‘fix’ you can try when you aren’t happy with your painting. After extensive tilting and torching of the canvas, it becomes obvious to me that I’m not going to have a painting that knocks my socks off. Instead of settling for an average painting I decided to use one of my favorite tricks…a swipe! 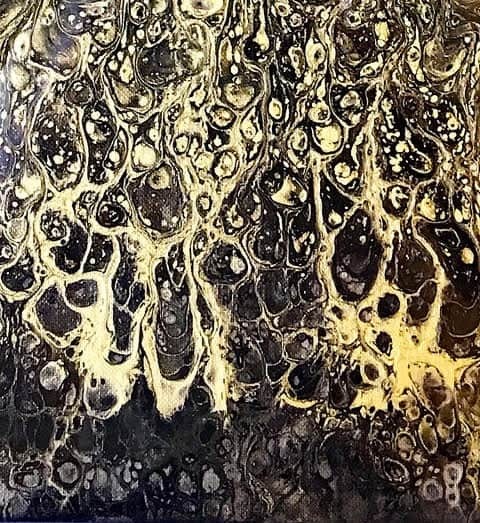 In this case, I chose to add more black and gold paint to the canvas, dampen a paper towel and swipe away. The end result was definitely a save and I’m so thankful I didn’t settle for an average painting. I will close my blog with this, as much fun as pouring is, always keep an open mind and look for ways to improve your pouring skills. You can stay in your comfort zone and continue to make beautiful paintings using what you already know but I suggest branching out. Try some different techniques, color combinations or painting surfaces. You may have a few failures but if you learn from your mistakes, your artistic pouring journey will be a lot more fun and probably a lot more satisfying. 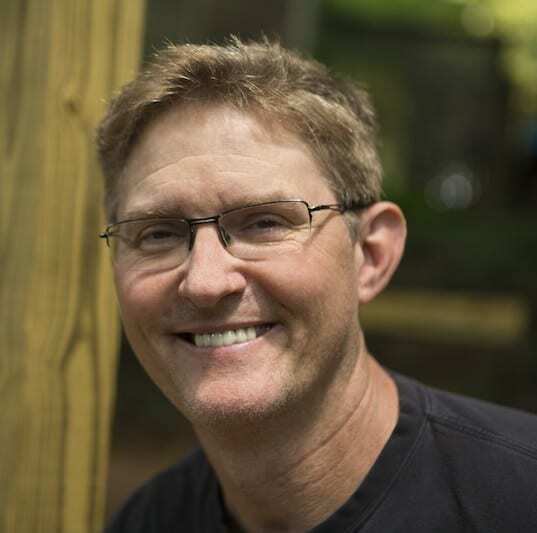 Steve Shaw is an artist and teacher living in Atlanta, Georgia. His days are spent in the classroom teaching his students the basics of art and self-expression. In the evenings and weekends, he paints. Steve has shown his work in several galleries in the Southeast and has illustrated three children’s books. 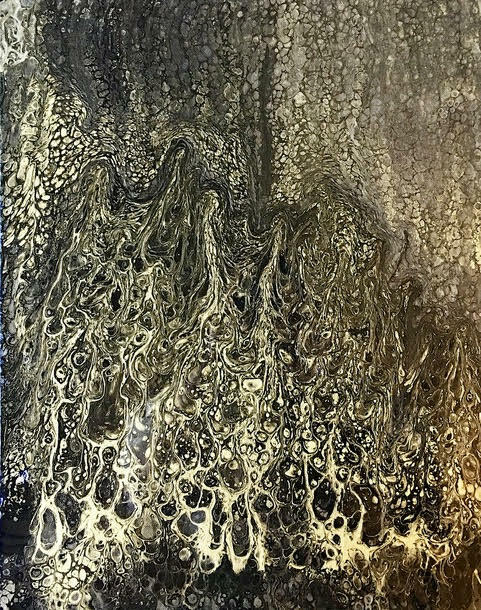 Recently Steve has discovered acrylic pour painting and is putting all his other projects on hold while he journeys down this artistic road. 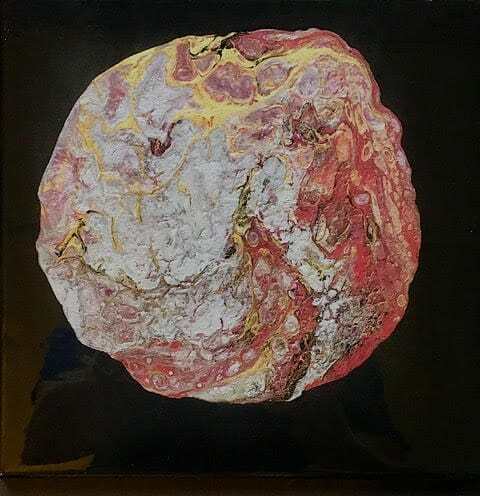 To see more, follow him on Instagram, visit his website, watch his videos on his YouTube Channel and purchase his paintings at Etsy.com.